If you have a travel agency, then you must have a travel website. It helps the user to understand your travel services and package cost easily. Travel websites help you to share your travel experience with the online world. Here are the best free travel website templates in HTML and CSS3 that help you keep track of beautiful memories. Like a proper modern template, all travel website templates rocks all the recent trends and practices all the latest web regulations. It is responsive and retina-ready, as well as compatible with all modern web browsers. Travel website templates with a beautiful full-screen banner that will impress all your guests. 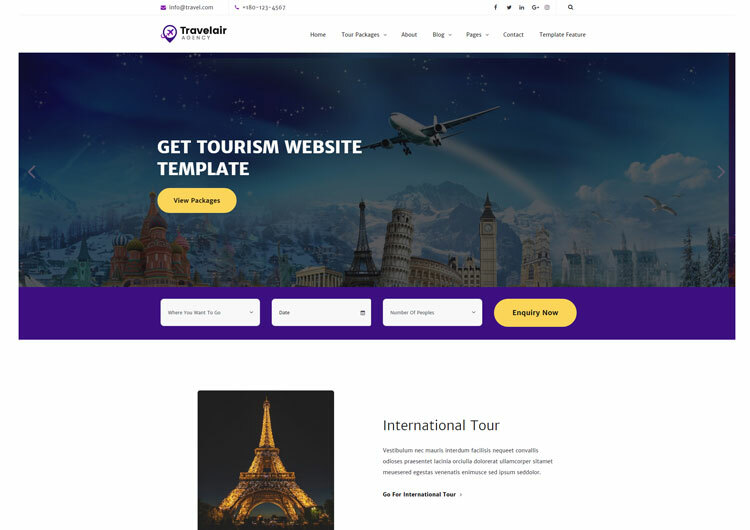 As a travel agency or a tours organizer, put yourself in front of the right audience after using these website templates. It has a pleasant color combination which perfectly matches with the travel business. Suitable for a travel agency, travel blog, travel portfolio, photo gallery, travel story, camping facilities, travel magazines, airlines companies, travel insurances, travel clubs, tourism bureaus, vacation planners, tourist attraction businesses, and more. It is fully responsive for all device. Travel website template coded with beautiful and clean codes! Some powerful HTML files 100% valid W3 web standards. Bootstrap is the most popular HTML, CSS, and JS framework for developing responsive, mobile first projects on the web. A search form on the main page, testimonials, team members, a contact form and a newsletter subscription, provide you with everything that can make your site reliable for your customers and ensure a comfortable work process and agreeable. 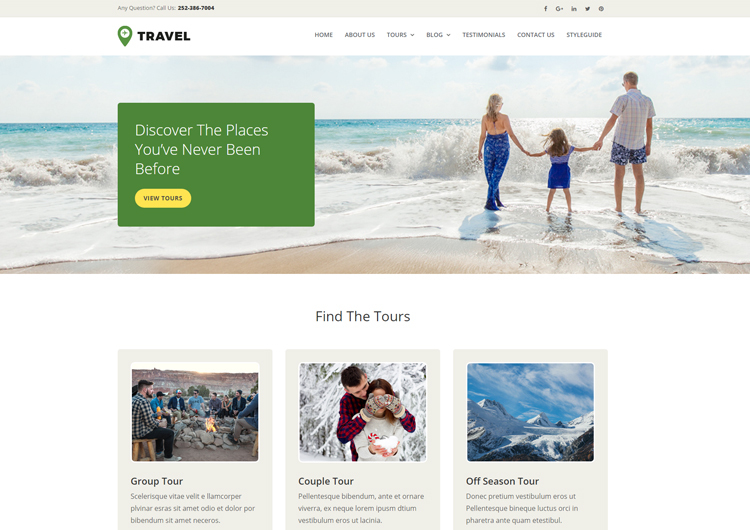 These travel website templates will definitely, be the central online attraction for your business!